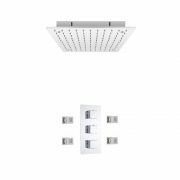 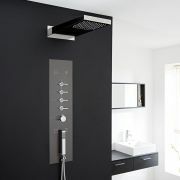 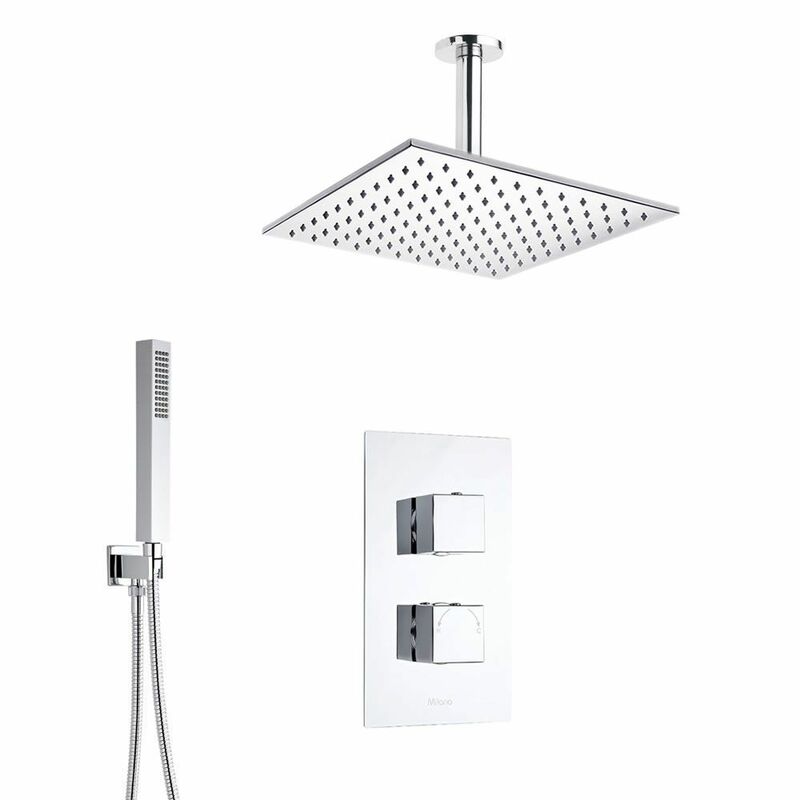 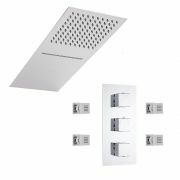 Add designer style to your bathroom with the Milano Arvo thermostatic shower valve, 300mm square fixed shower head with ceiling arm and shower handset kit. 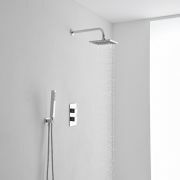 Suitable for use with all systems, the TMV2 approved thermostatic shower valve has a solid brass construction and a brilliant chrome finish. 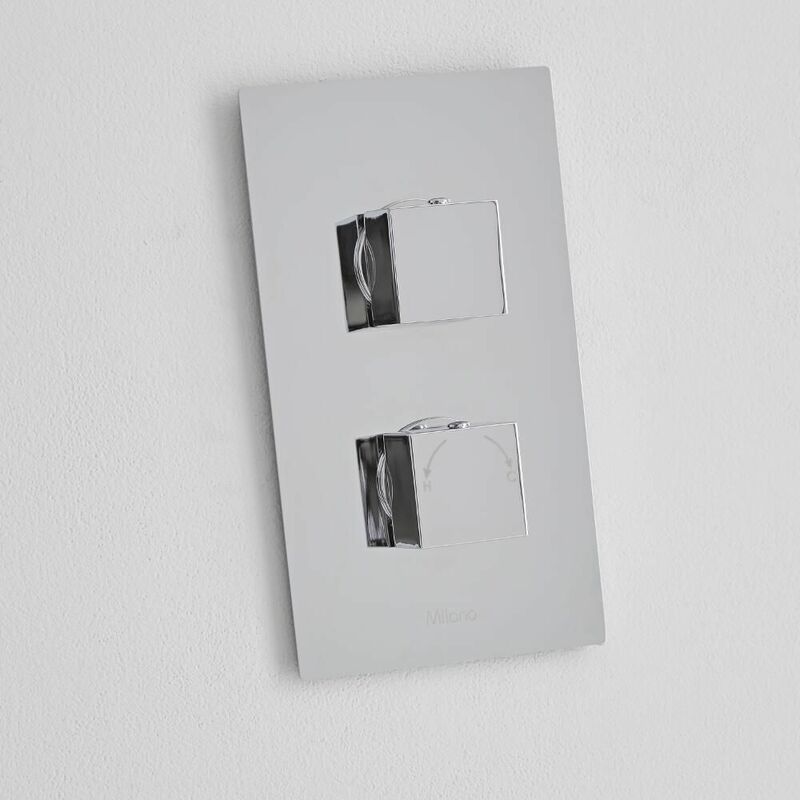 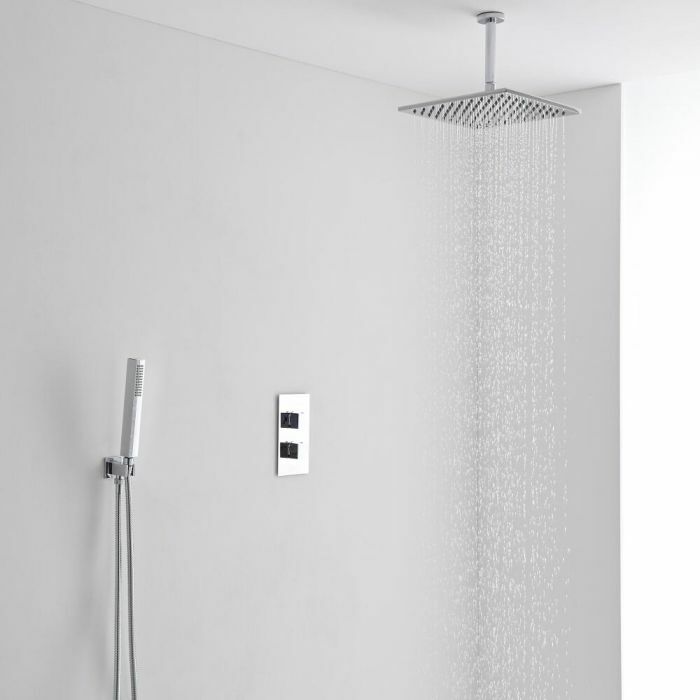 It incorporates ceramic disc technology to prevent leaks and drips, as well as an automatic anti-scald device for complete peace of mind. 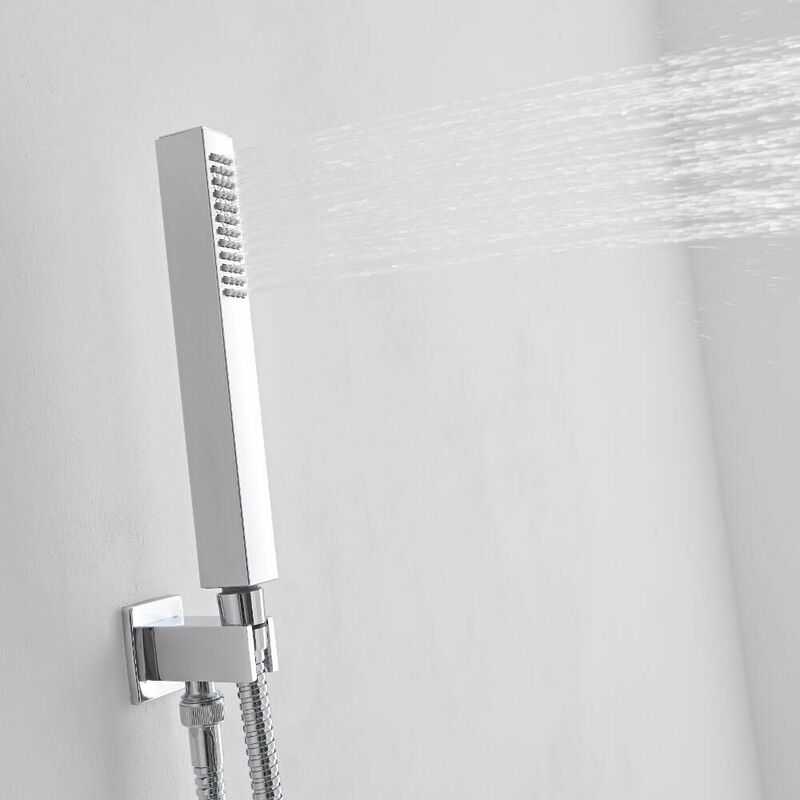 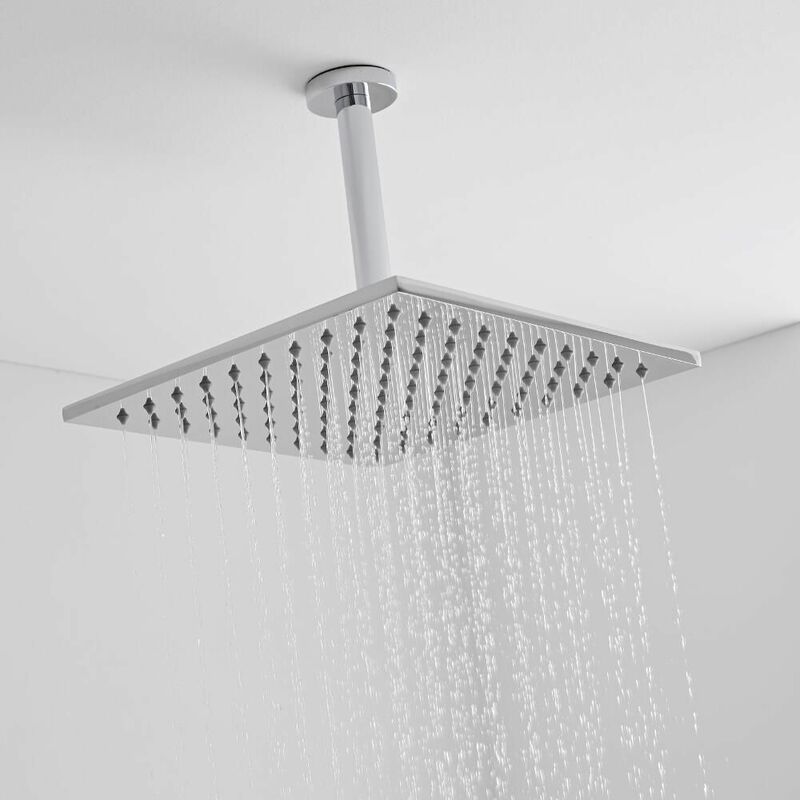 Delivering a refreshing rainfall effect, the fixed shower head has silicone nozzles for easier cleaning, and a polished stainless steel construction.